The U.S. Energy Information Administration has announced respondents providing data for its Monthly Densified Biomass Fuel Report produced 570,000 tons of densified biomass fuel in June, and sold 430,000 tons. Researchers from the have proposed an idea that could improve China’s air quality, but they’re not atmospheric scientists. They’re agronomists who say switchgrass could help stop erosion loss while displacing coal use at power plants. The Public Service Commission of Wisconsin approved a conditional $15 million Focus on Energy grant to BC Organics LLC for a bioenergy system in Brown County. 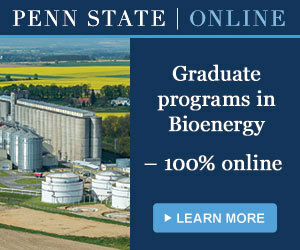 The system will produce renewable natural gas from dairy farm manure and other waste. The U.S. Department of Energy recently announced $22 million in funding through the Advanced Research Projects Agency-Energy for 18 innovative projects as part of the Macroalgae Research Inspiring Novel Energy Resources program. Hawaii Gas, the state’s only regulated gas utility, received approval from the Hawai‘i Public Utilities Commission to install equipment to capture and process biogas from the Honouliuli Wastewater Treatment Plant. Neste and Geneva Airport are working together to make flying more sustainable by targeting renewable jet fuel to account for at least 1 percent of the annual jet fuel consumption at Geneva Airport by late 2018. Furfural is a promising candidate in the quest for alternative biofuels. The combustion industries are very interested in what could become a potential new type of fuel derived from atmospheric-plasma treatment of biomass. EU-funded project COMSYN aims to develop a production concept for competitive biobased fuels by means of a compact gasification and synthesis process. The project aims to achieve production costs of up to 35 percent less than alternative routes.